Hello all my readers. 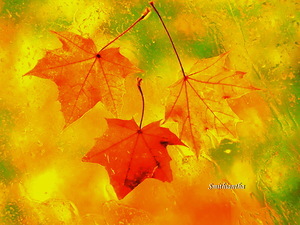 The time for colourful fall of the maple leaves has come and it’s the time when we see more active HYIP-industry movements. The investment program I’m going to review today is Genius Capital Limited. «Genius Capital Limited – The name you can trust. » It’s how Genius Capital positions itself. Genius Capital Limited officially registered in the UK since August 20th 2013 (Registration Number: 08658347). However the start of Genius Capital was marked with the domain name issue. The same domain geniuscapital.net was used by a fast scam in 2009. Well, we’ll see if administration of Genius Capital makes the domain name right and really trustworthy after such a rum start. The domain has been registered for 10 years. In GCL Advanced you reach the break-even point on 34 business day. 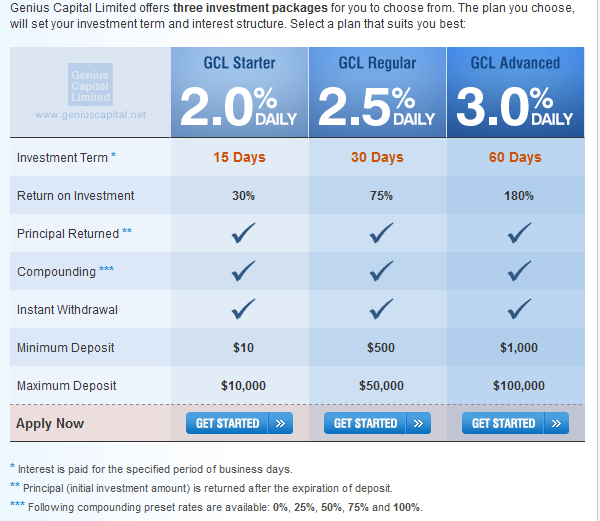 Compounding option makes Genius Capital Limited more risky for investing to second and third plans. Payment Processors — PerfectMoney, SolidTrustPay, EgoPay & OKPay. In GCL video presentation they announce that Solid Trust Pay is accepted but this payment processor has not been available for investing till today. Investors’ Activity — quite well, several $500 deposits and $1000 deposit have flowed into Genius Capital Limited. Copyright © RCB Monster Blog - HYIP Reviews, Interview with Admins and MORE!